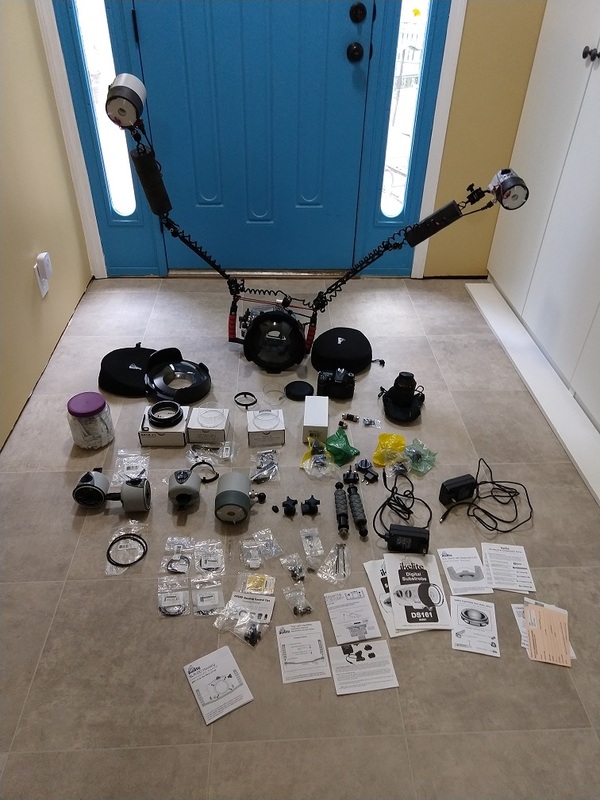 I put together this underwater camera package by purchasing from these two WetPixel ads. So, it seems fitting to start here when selling it. 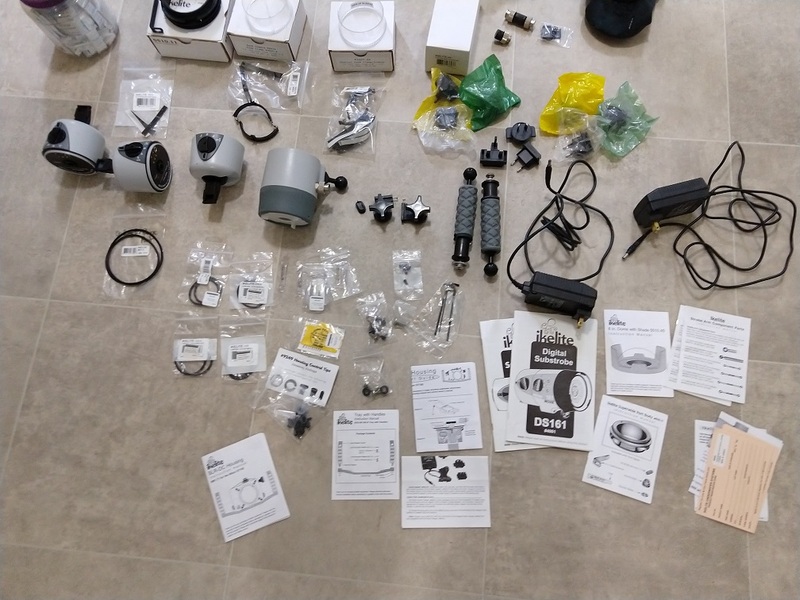 This is a complete setup that you could take diving this weekend with zero additional purchases. It is a beautiful setup, handles well in the water, and is very easy to start using immediately. Your preference for lenses would be your only other need and you probably already have them if you are buying this. 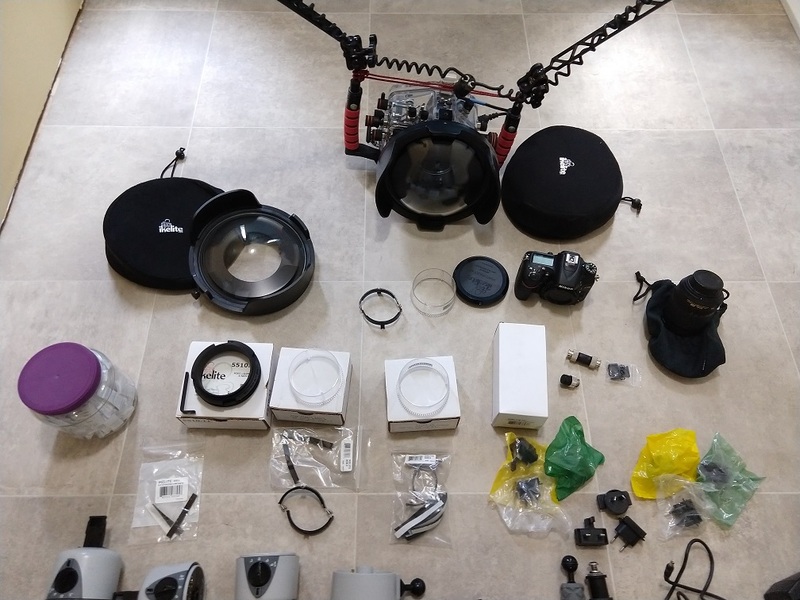 I will throw in a kit 18-135 lens if you don't have any lenses and need one. I would really like to get $4,500 for the whole package, but will not refuse a reasonable offer. You would be getting about $10,000 worth of gear if purchased new, so this is a great starter camera for someone wanting higher-end gear without higher-end prices. There are also miscellaneous other little hardware pieces included. I was a volunteer diver from 2008-2016 at Edmonds Underwater Park in WA State and put together this camera package to do a biodiversity photo survey of the park and surrounding waters. I did a few dives with it and loved it, but my primary effort in the park was working dives where it made no sense to bring the camera along. For those I have a couple smaller Ikelite housings that I rotated between and they took a constant beating without any issues. I even broke a strobe clean off one and had it float ashore three weeks later and find its way back to me via a kind beachcomber. In 2016 I went on a one-year road trip that kept getting extended, so now I have been out of the water two years. I’m in the process of committing to being very busy for the next 5-10 years building a business around used Lego that I hope will turn into a community gem where young minds can come and hang out like a Maker Space and learn Science Technology Engineering and Math using Lego products. The sale of this camera setup will be providing additional capital dollars to this effort. So, if you are needing a little extra convincing of your spouse / budget committee, you can toss that one in there and see if it helps. Your mileage may vary. Picture of the whole package. I noticed there is also $200 of O-rings and parts that I ordered from backscatter when I got the camera. I also noticed that one of the 8inch domes has a crack in the plastic sun shade piece that appears cosmetic only. the shade attaches to the dome with four set screws and the crack is at one of those screws. I forgot about that, but it never impacted the functionality while diving. And another closer pic. Please let me know if you have any other questions or need more pics. 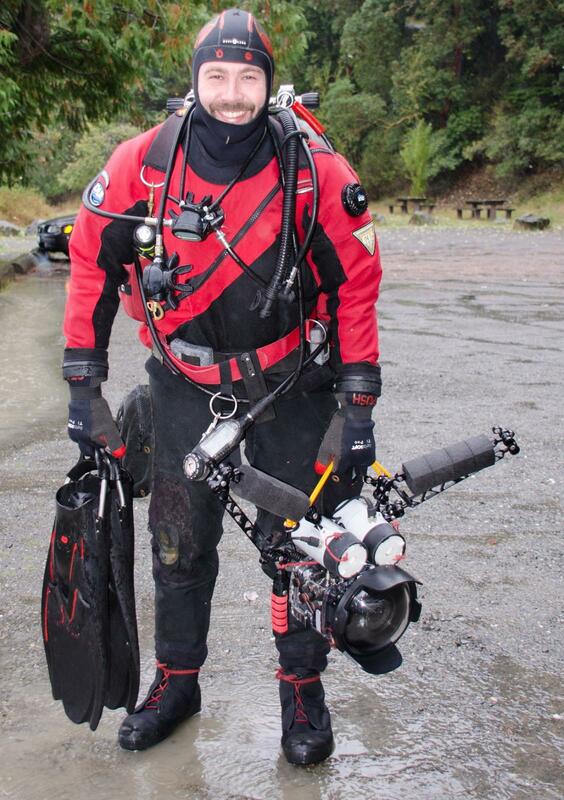 Me diving Crescent Lake, WA with double 130 cylinders and this camera setup. Notice the smile on my face after the dive. Wow, double 130's! - how much bottom time does that give you? Well, I just did a quick search of some dive profile exports and found this one. 4 hr 22 min. It was a solo working dive. I know I have done longer ones, but the working dives burn a lot more air.